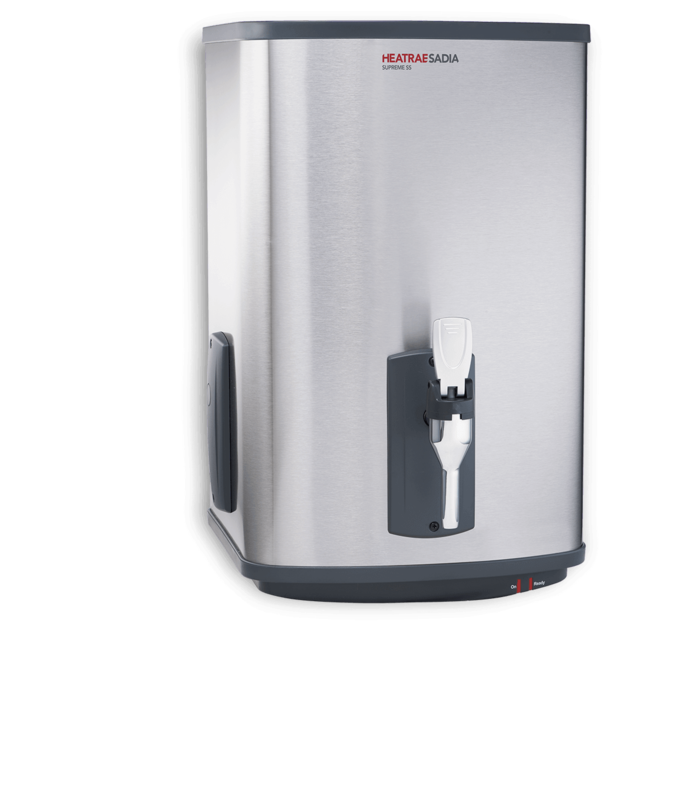 As our leading product to the drinking water product range, Supreme SS is designed for high use environments such as in busy restaurants, where there is demand for large quantities of boiling water at point-of-use. Supreme SS is a wall-mounted unit and is easy to install, it requires only a cold water supply and mains electrical connection. The unit has a simple 'ready' indicator to confirm when ready for use and has many innovative features such as an integral electronic water conditioner to reduce scaling and a lockable heavy duty tap for added safety. Extend your warranty by a further 3 years for complete peace of mind. Whether you purchase our Basic or Premium service plan, it will protect you and your product for a whole extra year, with the option to extend your warranty for up to 3 years. Click here to extend your warranty.